We headed to South America for stop 7 in Project: Around the World to visit Argentina. Argentina is a vast country, the second largest in South America, and there were so many fascinating things to choose for inspiration. (See Argentina on a map here.) Would it be the pampas, which are the fertile grasslands, or the Andes Mountains? Would it be the tango, the dance that originated in Argentina, or the gauchos, the native cowboy of the pampas? We ended up using a small slice of Argentine life, the colorful buildings in the neighborhood of La Boca in Buenos Aires for inspiration. I love this project because the process is super simple. It’s an open-ended project with such fun results. 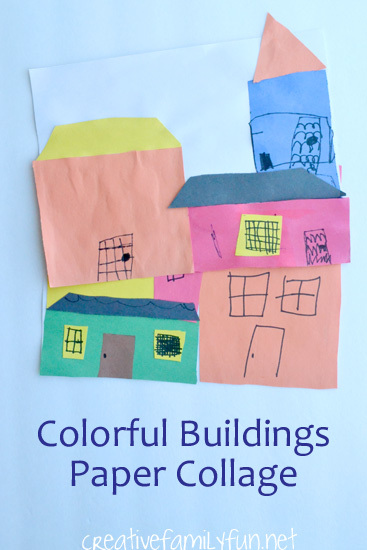 The first thing you need to do it to decide on your buildings. 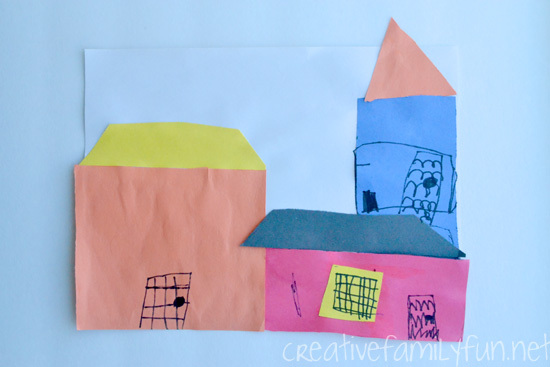 We make simple square and rectangular shapes. 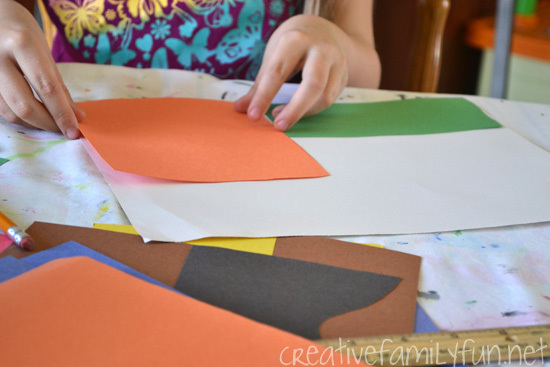 Try to fill in much of your paper with the larger shapes. Glue all your shapes down. Overlap your shapes if you want the look of a busy city block. 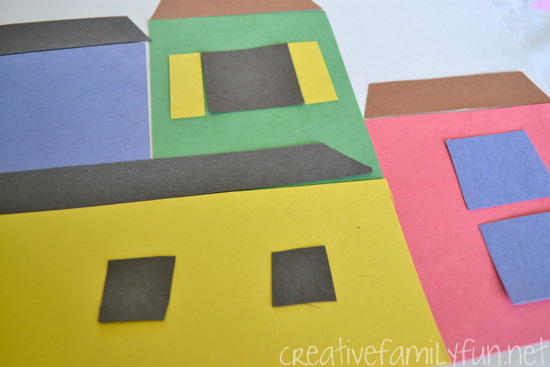 Next, use smaller pieces for roofs, windows, doors, and other details. Your shapes don’t have to be perfect! 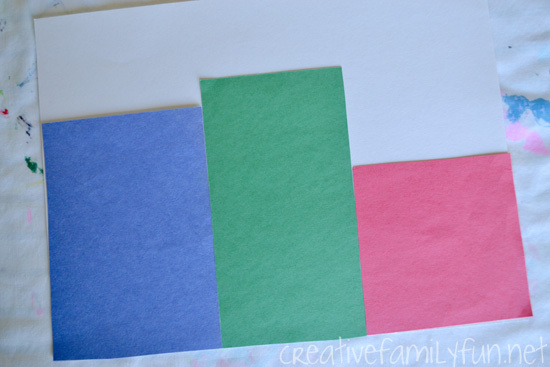 Arrange them on your paper until you’re pleased with the results, then glue them all down. After you have all your collage complete, use your black marker to add in details. Add bars to the windows, door knobs, shutters, or anything else that strikes your fancy. Thank you for coming along on our virtual trip to Argentina. 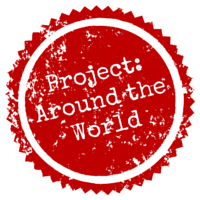 If you’d like to see all of the projects we’ve done for Project: Around the World, please click here or on the button below.